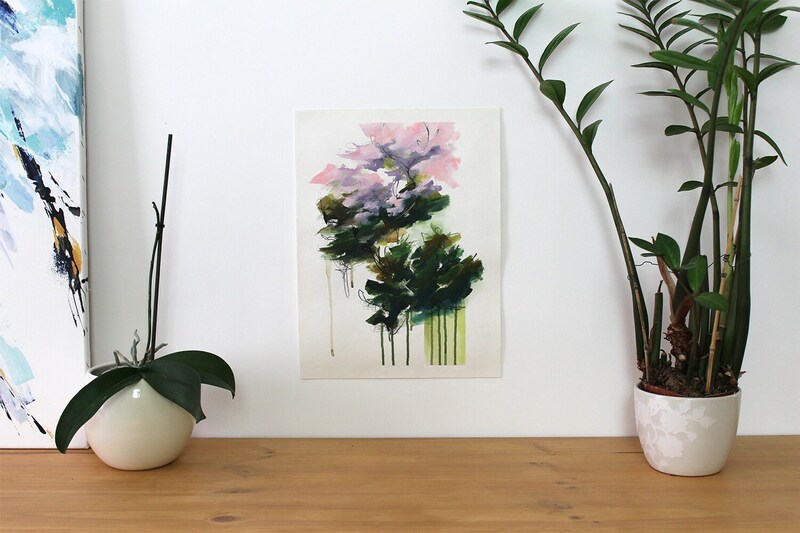 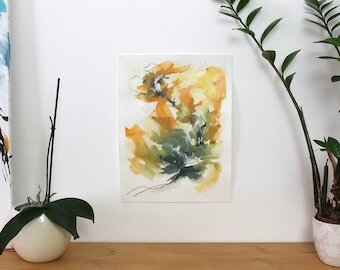 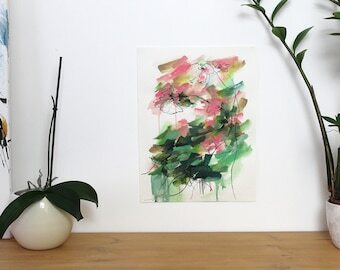 First painting of the series 'Secret Garden' inspired by a Japanese garden, bonsai spirit, zen. 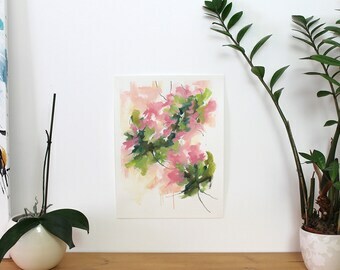 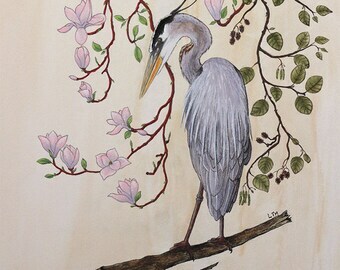 Artwork done in mixed media on watercolor paper whose main colors are green, pale pink and mauve. 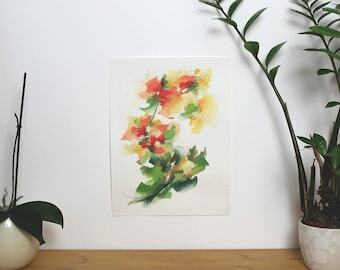 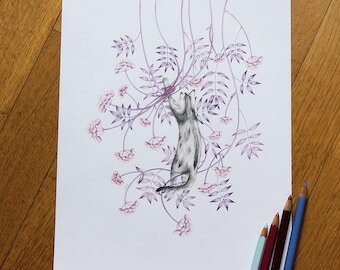 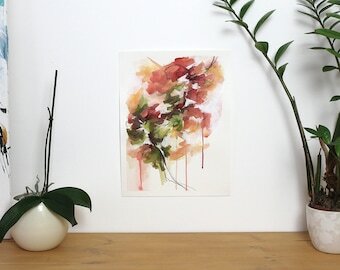 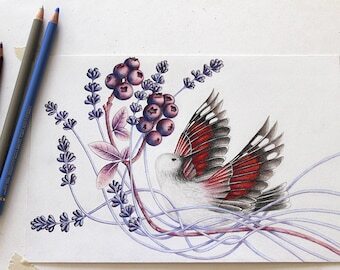 The pencil and soft pastel lines are subtly mix with acrylic paint and bring an interesting texture.